The IRS has been sending signals since the summer that it will be enforcing the Affordable Care Act’s employer mandate. Those signals have culminated in the IRS starting the process of sending letters to businesses with 50 or more full-time or full-time equivalent employees—referred to as Applicable Large Employers, or ALEs—on what they owe for failing to comply with the Affordable Care Act’s employer shared responsibility mandate for IRS filings related to the 2015 tax year. 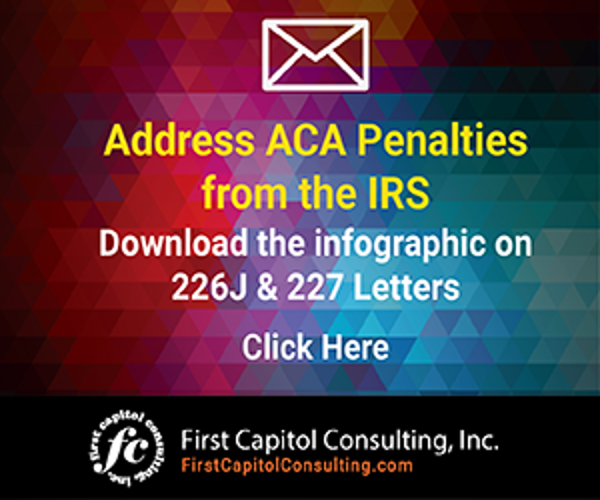 Letter 226J is the communication that provides the general procedures the IRS will use to propose and assess the ACA’s employer shared responsibility payment, or ESRP. Click here to see the sample letter on the IRS website. There have been reports of letters containing ACA penalties anywhere from the tens of thousands of dollars to nearly $6 million. Surely some are even higher. More are on the way. CPAs need to move now to prepare their clients for the possibility that they will receive their own Letter 226J. Letter 226J provides information on the individual employees who, for at least one month in the year, were full-time employees, were allowed a premium tax credit, and for whom the ALE did not qualify for an affordability safe harbor or other relief, as per instructions for Forms 1094-C and 1095-C, Line 16. It also provides the indicator codes for the ALE, reported on lines 14 and 16, of each assessable full-time employee’s Form 1095-C. The letter contains an ESRP summary table itemizing the proposed payment by month and indicating for each month if the liability is under section 4980H(a) or section 4980H(b). Finally, the letter includes a response form, Form 14764, “ESRP Response,” and a description of the actions the IRS will take if the ALE does not respond in a timely manner to Letter 226J. ALEs receiving Letter 226J need to provide information to the IRS by the response date shown in the letter, which generally is 30 days from the date the letter was issued. The letter contains the name and contact information of a specific IRS employee whom the ALE should contact if the ALE has questions about the letter. Within those 30 days, the ALEs can respond to Letter 226J before any ESRP is assessed. The letter provides instructions on how the ALE should respond in writing, either agreeing with the proposed employer shared responsibility payment or disagreeing with part or all of the proposed penalty assessment. The IRS will acknowledge any response to Letter 226J with a Letter 227. If the ALE disagrees with the proposed or revised ESRP payment, the ALE may request a pre-assessment conference. Following this conference with the IRS, the ALE can also ask the IRS Office of Appeals to review the case. If the ALE does not respond, the IRS will assess the amount of the proposed ESRP shown in Letter 226J and will issue a Notice and Demand for Payment (Notice CP 220J). The notice offers directions and alternatives to pay the penalty. If the ALE agrees with the proposed ESRP, the ALE can complete, sign and date the enclosed Form 14764, ESRP Response, and return it to the IRS by the response date. If the ALE doesn’t pay the entire agreed-upon ESRP, it will receive a Notice and Demand notice for the balance due. 1. Encourage your clients to identify and gather in one place all documentation to support the ACA information filed with the IRS for the 2015 tax year. While you are at it, encourage them to do the same for the 2016 tax year and to put into place a process to maintain documentation for the 2017 tax year. You will want to make sure all documentation that might be required to respond to a future IRS inquiry or audit is readily available when needed. 2. Urge your clients to review how the payroll, benefits administration, time and attendance, and HR data that is necessary for completing ACA filings with the IRS has been gathered and validated to ensure there are no accuracy issues. If there are errors, they should be corrected and a process identified to ensure the inaccuracies are caught in the future. For 2017, the prior good faith effort relief from penalties will not be available. That makes it even more important that accurate data is used to generate the annual ACA filing to the IRS in order to avoid any penalties. 3. If your discussions with your clients do not provide you with confidence they are prepared to quickly and efficiently respond to Letter 226J, now may be the time to line up an outside resource who has the expertise needed to help provide a timely and complete response to the IRS. The client generally has only 30 days from the date of Letter 226J to respond. 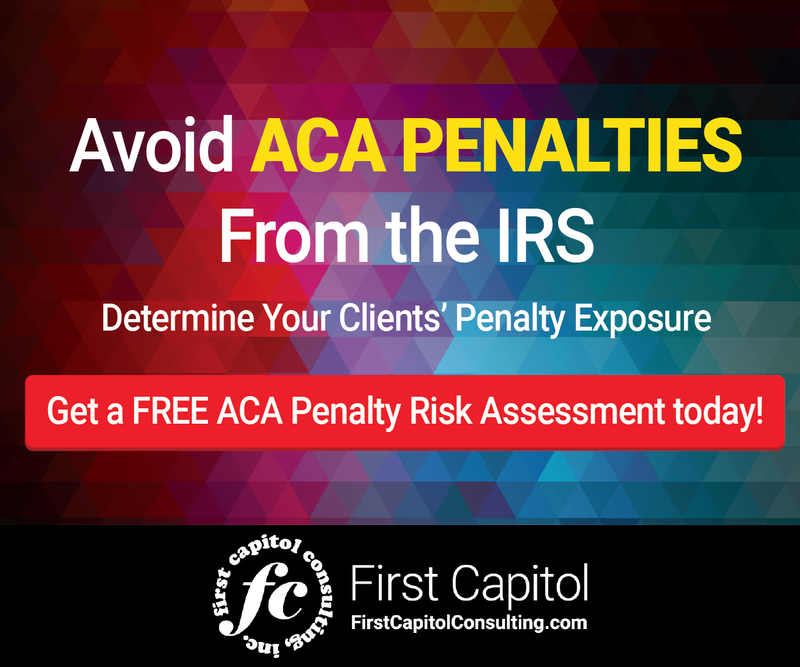 Failing to do so could lead to a significant IRS penalty assessment for your client and, possibly, an IRS audit. When Letter 226J arrives, the first call your clients make may be to your firm. ALEs have already begun receiving them. The clock is ticking. Will your clients be ready? The IRS has been sending signals since the summer that it will be enforcing the Affordable Care Act's employer mandate.